Endowed with pristine natural beauty, Kinnaur is a mesmerizing destination of Himachal Pradesh where tourists come from far and wide. It is surrounded by Tibet in the east and is also circumscribed by the three majestic mountain ranges namely Zanskar, Greater Himalayas and Dhauladhar. 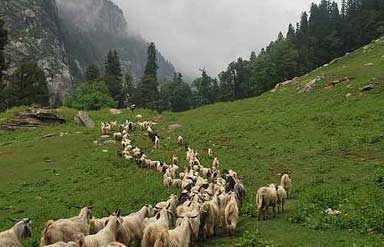 Its breathtaking natural beauty and peaceful environment will surely capture your heart on your Kinnaur Tour. It is sparsely populated district of Himachal Pradesh. Flowing across this fascinating town are the two tributaries of Sutlej which later mingle with each other. This tribal town is home to several tribes such as Moorang, Kalpa, Nichar and Sangla. It also boasts of orchards of apricots, peaches, chilgozas and apples. Hinduism and Buddhism are the two religions followed here so this land also has some beautiful temples and monasteries. The best time to travel to Kinnar is from October to April. During the ancient time it was a trade route between India and Tibet. Kinnaur tourism started in the year 1989 and over the years it has fast gained the popularity of being a wonderful tourist destination. According to the legend, Kinnaur is the place where the Pandavas lived for some time while they were in exile. 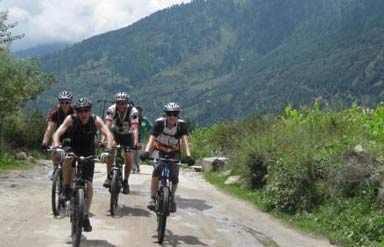 Kinnaur Tourism also offers great opportunities for Adventure sports such as trekking, wildlife safari, camping, mountaineering, paragliding, skiing and boating. The famous trekking trail of the district is the 'Parikarma of Kailash'. This trek is a sacred route wherein you will find many pilgrimages. It is a 7 to 8 days long trek which provides natural beauty and adventure in plenty. The beautiful Nako Lake here offers facilities for boating and the three wildlife sanctuaries namely the Lipa-Asrang Sanctuary, Rakchham Chhitkul Sanctuary and Rupi Bhaba Sanctuary are the abodes of a variety of wildlife. It is a beautiful heritage village which is known for the Narayan-Nagani temple and some Buddhist monasteries such as Hu-Bu-Ian-Car Gompa. Located at an altitude of 2670 m above sea level, Reckong Peo is point from where you can treat your eyes with the splendid views of the Kinner Kailash peak. There is a 79 feet high rock here which resembles a shivlinga. It is a quaint village known for its fruit trees, lush green fields, tanks and Goddess Shuwang Chandika temple. It is another mesmerizing village hemmed in by majestic mountains on all sides. The old fort on a hill offering breathtaking views of the Satluj River is a major attraction here. It is believed that this fort was built by the Pandavas. Roosted in one of the most beautiful valley of the district Sangla is a picturesque village offering mesmerizing views of the Kinner Kailash, the Kamru Fort and Kamakshi Temple. The Kamru fort is surrounded by refreshing saffron fields. It is the fort where many of the kings of Kinnaur were crowned. A variety of hotels are available in Kinnaur. The hotels in Kinnaur are not very expensive. By Air : Shimla is the nearest airport (235 km). And Shimla is well connected with the major cities of India. By Rail : The nearest railway station is Shimla which is connected by a narrow gauge line from Kalka. By Road : Kinnaur is well connected by National Highway No. 22 which runs through it. 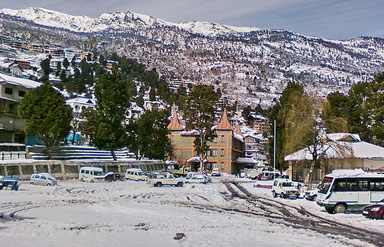 Buses, jeep and taxis are available from Shimla to reach Kinnaur. 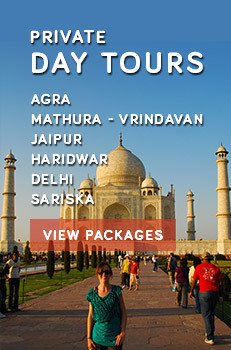 Caper Travel India offers a wide range of Himachal Pradesh Tour Packages. For more details, fill up the query form below.